How do you save on health care expenses including Medicare premiums during retirement? It’s all based on your retirement income. I will explain later in the article. During retirement fixed costs are essential to be managed and kept low to maximize monthly income. One of the only constant fixed costs in retirement are health care and Medicare expenses which happen to be one of the most expensive in retirement. 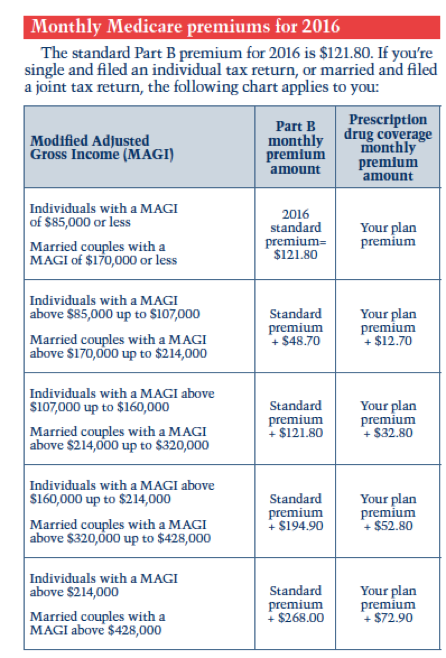 Medicare premiums are formulated for cost based on a retirees MAGI or modified adjusted gross income. Speaking from the Chicago Retirement Income Summit, Peter Stahl, CFP® stated “The savings are real,”. For example, moving a married couple’s tax bracket one threshold lower can save them $65,000 in Medicare costs over a 20-year retirement. And the savings are especially important given “health care inflation isn’t grocery-store inflation or Home Depot inflation” — Medicare Part B inflation runs at 7.87% and Prescription Drug Plan Part D is at 7.12%. With the increase of boomers entering the “high medical use” years these already historically high inflations will likely increase in the coming decade. Certain retirement income streams have tax advantages to keep income lower than traditional portfolio distributions that increase taxable income in retirement. QLAC or Qualifying Longevity Annuity Contract, non-qualified income annuities such as Longevity annuities that use non-IRA dollars, Roth accounts, health savings accounts and permanent life insurance loan distributions are all tax- advantaged way to lower a retirees tax bill with respect to Medicare premiums. Management of RMD, required minimum distributions at age 70 ½ from IRA is also key. Using a QLAC IRA, the deposit excluded in the RMD calculations for tax. The maximum deposit amount is lesser of $125,000 or 25% of your prior years combined IRA balance. Excluding this amount will automatically lower a retirees RMD tax to over an estimated $20,000 in a retirees lifetime and in turn lower one’s modified adjusted gross income that is reported on your income tax return. If you are looking for a QLAC that is right for you, then we can help. We work with many of the top insurance carriers in the longevity annuity marketplace today. To get live instant QLAC rates from the top companies click here. If you have any additional questions, then please feel free to contact us directly toll-free, by dialing 800-325-1833. We are here to help.